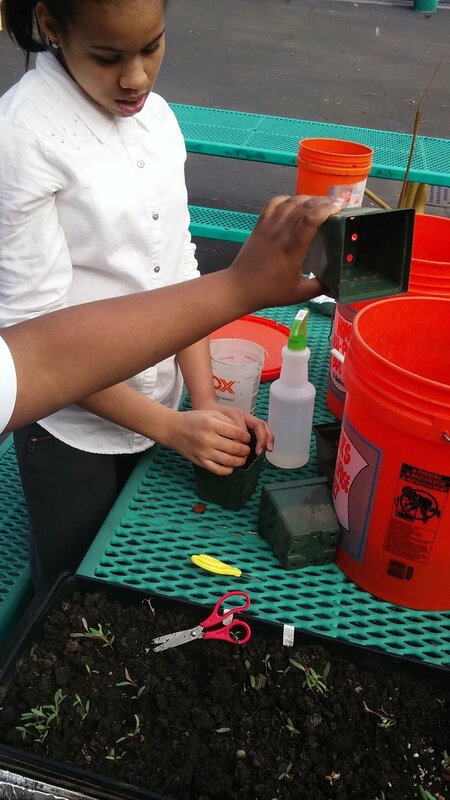 This week at Seed Street, we started with balmy temperatures that had us transplanting seedlings outside with Farmer Randy. By the end of the week, we were facing the prospect of one of the coldest weekends of the winter season yet. 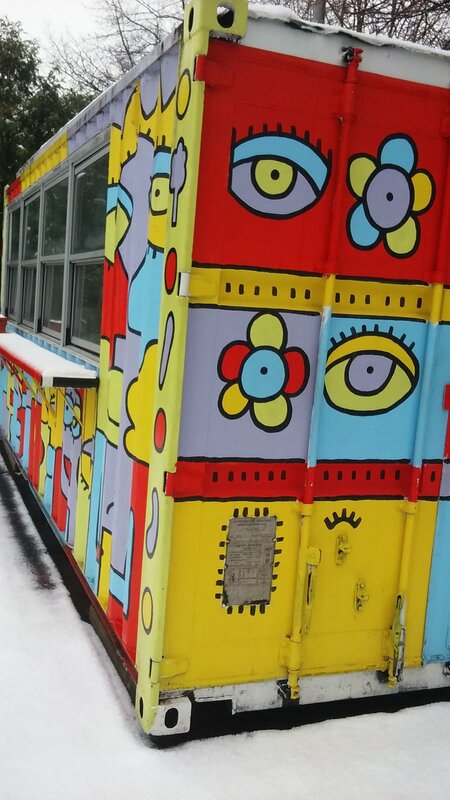 On Saturday morning, we clocked temperatures of 14 degrees outside the container, but inside the farm it stayed at a balmy 68 degrees. 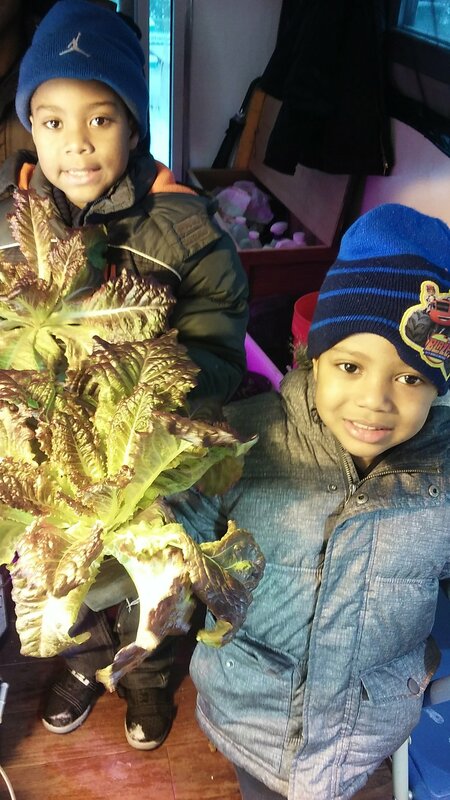 The remainder of our winter harvest includes some hardy swiss chard along with romaine lettuce; we are teeing up for our spring harvest with seedlings for some basil, cilantro, thyme and spinach. Stay tuned for more from our farm! As we head into Labor Day Weekend and what serves as the de facto last week of summer for so many of us, temps and humidity continue to rise here in NYC. The upside - the late summer produce from local farmers right now is some of the finest of the year! Below, a spotlight on three of the summer classics that are at their best right now. Even as we move to spending more time outside in the company of family and friend this weekend, we can stay out of the hot kitchen and still manage to eat fresh, local and seasonal. Take a stroll to your nearest farmers market and talk to your purveyor / farmer about what they are harvesting right now. Sliced, diced and served solo as the star sweet and refreshing treat, it doesn't take much to make a fresh watermelon to perfect accompaniment to a late-summer day. Watermelon pairs wonderfully with mint in its sweet form, but the addition of other green herbs like basil, cilantro or parsley transform the watermelon into a perfect salty-savory conduit. Just slice the watermelon into simple cubes, drizzle lightly with olive oil and sea salt, and heap on a generous portion of the favorite green herb of your choosing. For an added punch, tuck in some crumbles of feta or goat cheese throughout. This one hardly needs more elaboration. The delicious staple of a lightly-grilled corn on the cob is emblematic of summer-fun for a reason. We love elevating it ever so slightly by taking the corn cob right from the grill, brushing it with fresh lime juice, and then sprinkling on a little salt and cayenne pepper. Simpler yet, skip the grilling / cooking altogether and enjoy your August corn exactly as it is! Just take your cob raw, slice the kernels from the cob, and toss into salads, omelettes or enjoy it solo. The key is to start with a cob that is sweet and tender. To maximize sweetness and tenderness, start by nabbing corn that is freshly harvested - and the best way to do that is to find locally-farmed corn that hasn't had to travel far from the field to your table. The corn of farms on New Jersey and Long Island are particularly stunning now. The local tomatoes that appear at farmers markets in late summer are hardly recognizable from their mass-greenhouse farmed brethren than make it to us in the winter months. The tomatoes available now will have a flavor, texture and all around oooomph factor that can't be missed. When picking your tomatoes, remember: don't judge a book by its cover! Some of the juiciest, sweetest and most flavorful tomatoes won't be round or pretty, and they may not even be red! Experiment with different tomatoes sizes and varieties to discover which flavor profiles you like best. To preserve the tomatoes at their best, don't store them in the refrigerator! Rather, keep them out at room temperature until you are ready to use them, and consider storing the larger tomatoes with the stem side down (which is thought to slow the aging process and keep them fresh longer). The swelter of the NYC summer is officially upon us! After a long weekend celebrating independence day and the festivities that kick off the month of July all around NYC, we thought it the perfect occasion to share the leafy-greens-based recipes crafted by our young gardeners and inspired by their time nurturing, growing and tasting produce from their hydroponic garden. Please enjoy this survey in words and images. Stay tuned - We will be back with more updates from our Seed Street farm soon. We are back from spring break this week. MOVE: We combined our study of individual poses and our discussions of Chakras into a series of sun salutations. Our young yogis had such a great time building upon their flow and seeing the different poses come together into a longer, fluid sequence. CREATE: Our entrepreneur teams were hard at work translating their business plans into visual displays that they will showcase at the Business Plan Fair coming up on May 19th. Our teams had a lively discussion as they stenciled, sketched, collaged and debated how to best present their ideas in two weeks. 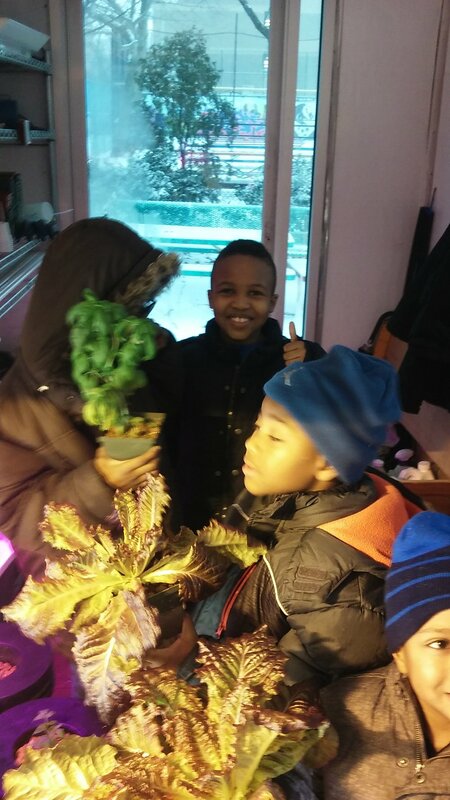 GROW: Friday’s wet weather kept the Grow team indoors, but it didn’t stop us from thinking about the green veggies and herbs tucked away safely in our container garden. The group developed and illustrated more than two dozen recipes for vegetable-centric foods, all of which included lettuce and/or basil, the two plants we harvested a couple of weeks ago for our Spring Harvest Table. The recipes include veggie tacos, a diverse array of salads, and a couple of yummy sandwiches. A truly glorious spring week at Seed Street. Move: We learned about standing yoga poses and practiced meditation. We relied on props for support, using straps to stretch our upper backs and learning how to keep our shoulders back without exaggerating the natural curvature of our spines. We used straps and balance near the wall to help us achieve dancers pose! We finished class with a guided meditation, using the yoga blocks to improve our seated postures. It was a great extension of the balancing and focus work we did the prior week. Create: Our Create entrepreneurs were working at full force. All three business plan teams were ironing out important decisions including their marketing strategies and the roles and responsibilities of each member of their team. We are so excited for the teams to showcase their full plans at our Business Plan Fair in just a few weeks! 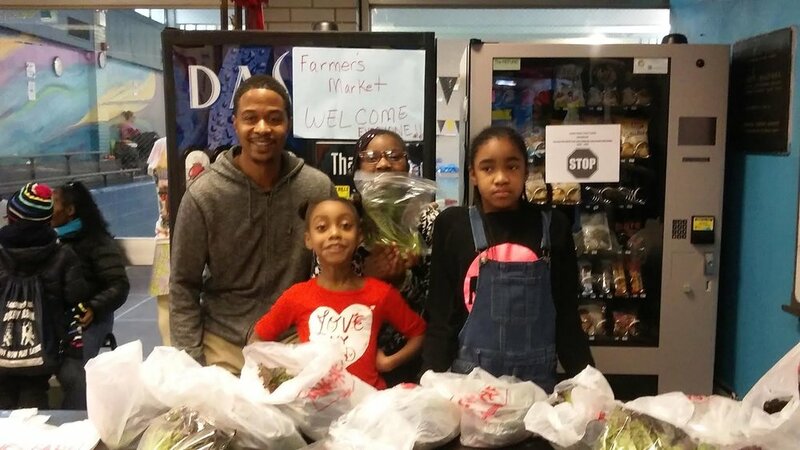 Grow: We celebrated a spring harvest with a vegetable and herb distribution to family and friends on Friday. 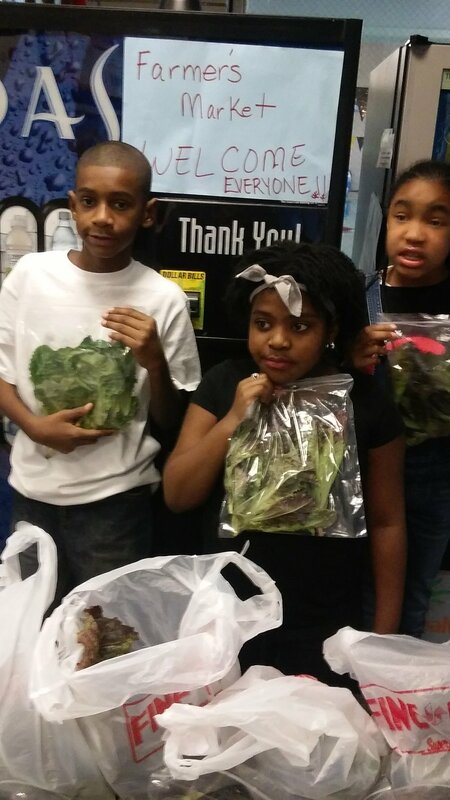 Our young farmers distributed over 40 bags of lettuce and basil, grown in our hydroponic container garden, to parents and other members of the Children’s Aid Society community. It was a wonderful way to wrap up the week and begin a much needed and well deserved Spring Break! 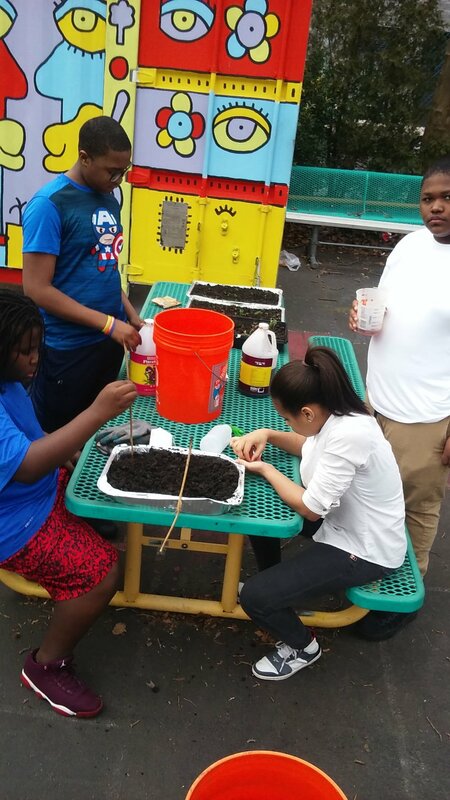 Note on week of April 25: Programming is paused for spring break this week; check back in two weeks for more news from Seed Street! This week at Seed Street began with yoga. This week’s yoga practice tackled the themes of stamina and focus. In an effort to built strength, the girls pushed themselves to hold poses for an extra breath or two longer, and reflected on how stamina isn’t just about physical strength; it requires mental strength and focus too. To explore and practice focus, we did tree pose. It was exciting to hear the students describe how they were able to hold the pose the longest when they focused on themselves and blocked out everyone else around them. In Create, the three business plan teams finished their SWOT (Strength - Weakness - Opportunities - Threats) analysis charts. They are ready to start applying their work over the past two weeks to make some important strategic revision to their business plans. We already looking forward to each teams final business pitches at the end of May. The week ended with another beautiful day working in and around the container garden. 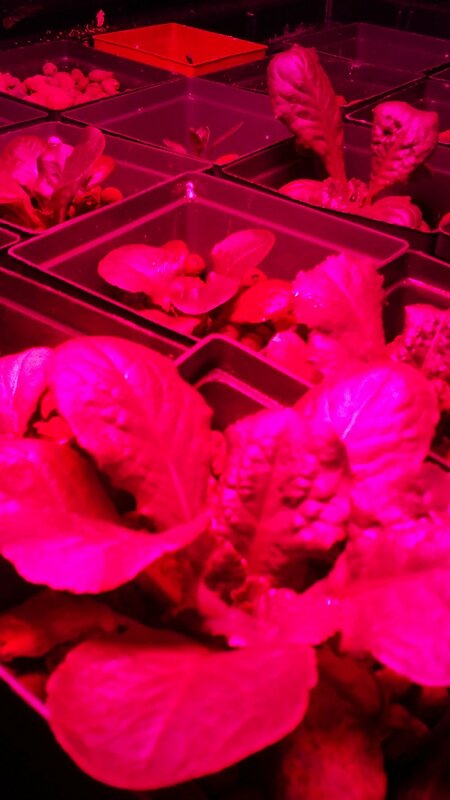 We postponed our farm stand for one more week, giving our lettuce and basil a little more time to grow before we harvest. We used that time to transplant additional seedlings into the hydroponic system and finished making our signs and decorations for the farm stand. We also crafted some invitations to our family and friends to join us for our farm stand next week. 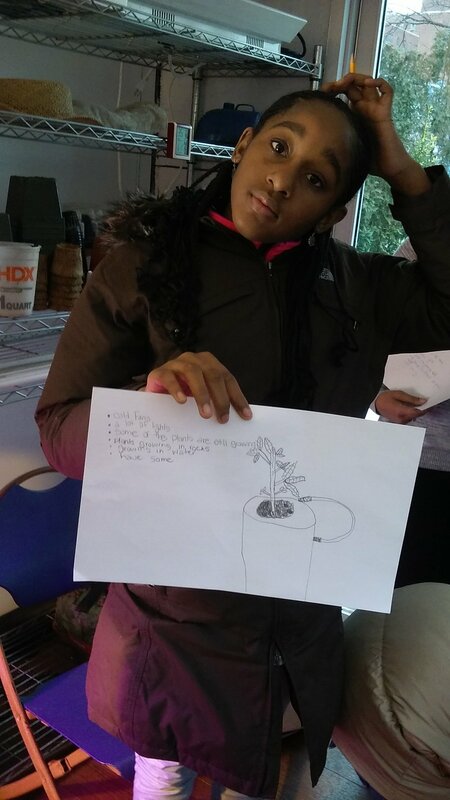 We had a new participant in our gardening club a couple weeks ago, and our seasoned gardeners where able to demonstrate their knowledge of hydroponics and plant anatomy as they graciously showed her the ropes. We started our week with some yoga and guided meditation that helped us maintain focus on all of our projects. In yoga, we learned about using our breath as a tool to manage emotions and stress, and the timing was perfect since our students are now in the middle of state testing season. On Thursday, our Create group began a SWOT (Strengths - Weaknesses - Opportunities - Threats) analysis for their business plans. The day ended with an overwhelming agreement as to the importance of acknowledging weaknesses. There was also some serious discussion about renaming some businesses to take advantage of the power of alliteration and a play on words to make a business name more memorable. Friday in the garden was an opportunity to take a step back and really notice the work we’ve done through this early spring season. We spent the afternoon on observation, and exercising our creative muscles to prepare for next week’s farm stand (stay tuned!). Our lettuces and herbs are just about ready to harvest, so we took some measurements, created some sketches, and started crafting signs for the farm stand. 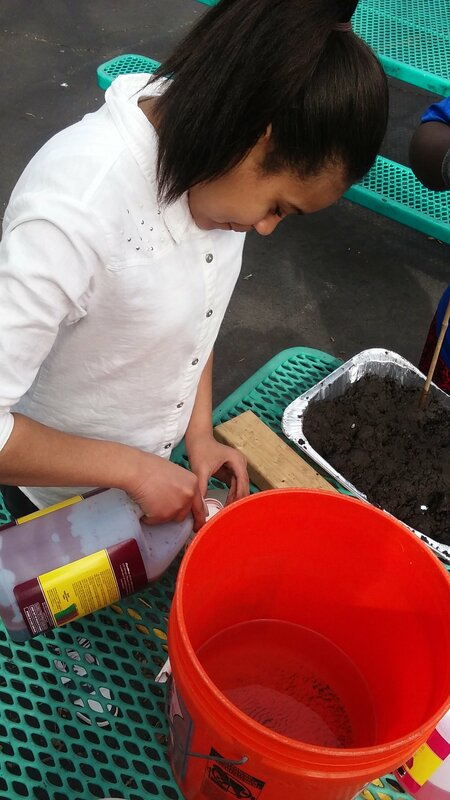 In addition to an assortment of lettuces and herbs, our Seed Street gardeners will be packaging our greens with salad dressing recipes to help put all those greens to use.